People living in Crete and the Mediterranean have the lowest incidence of deaths from heart disease thanks to the traditional lifestyle and diet (Mediterranean diet). 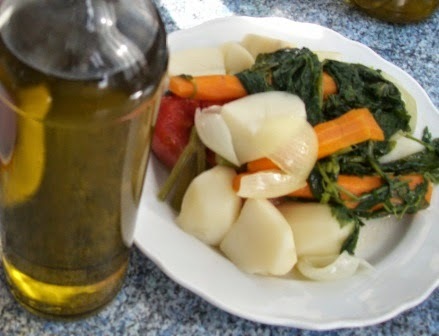 Cretan diet is not low in fat, but it contains powerful antioxidants that fight diseases. 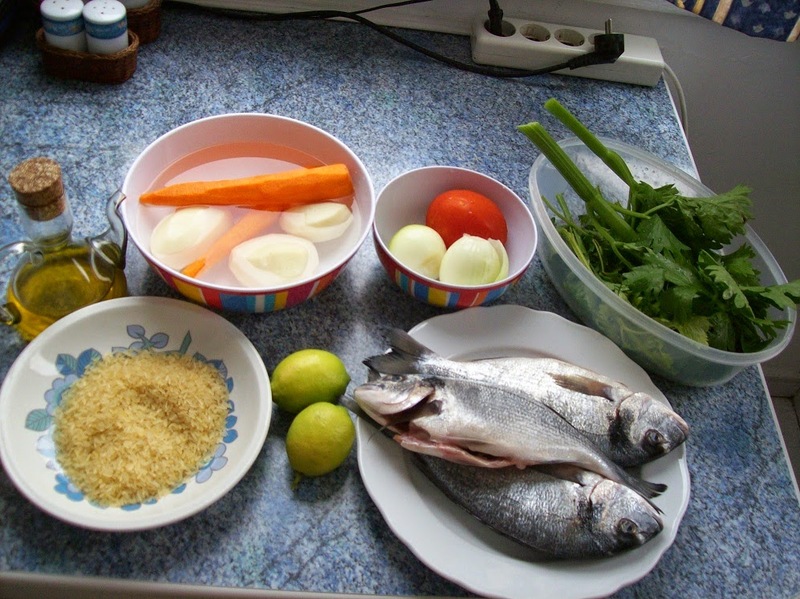 Foods mainly include fish, wild green plants, olive oil (used in raw salads and cooking), and whole grains (breads). 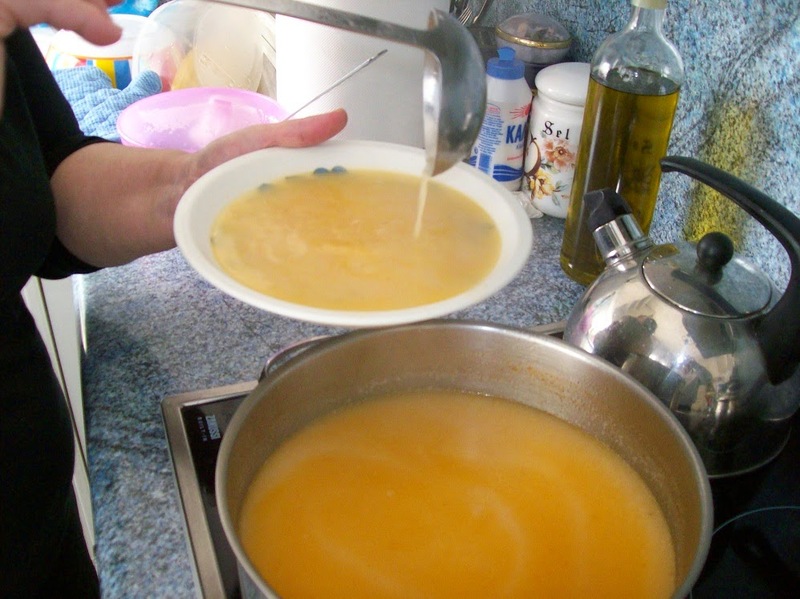 and rice and egg-and-lemon sauce (avgolemono) is added to the soup. It's a delicious and substantial meal. PSAROSOUPA AVGOLEMONO FISH SOUP WITH EGG, LEMON AND RICE: Here is a recipe for a wonderfully delicious traditional Greek soup (made throughout all regions of Greece). It is called "psarosoupa avgolemono" an easy but somewhat demanding meal, containing such a variety of ingredients that it will suit everyone's tastes. 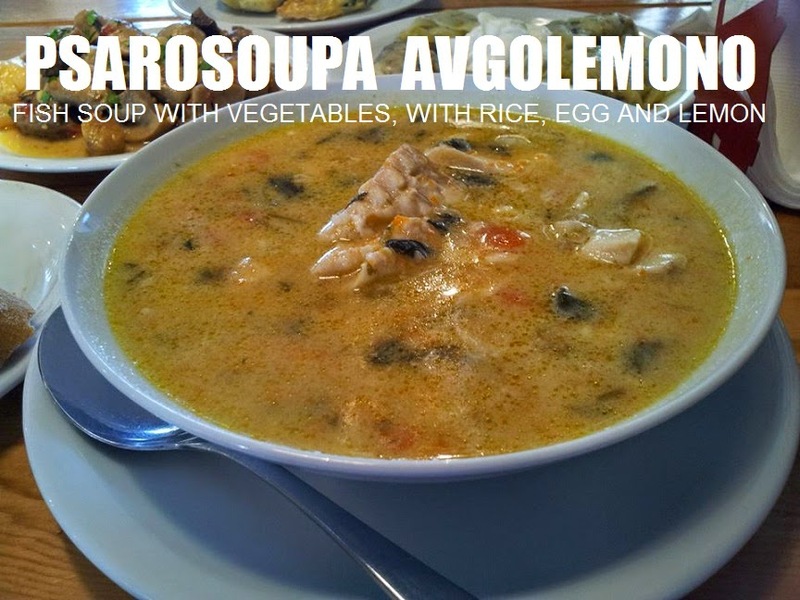 Psarosoupa means fish soup-avgolemono means egg and lemon sauce. 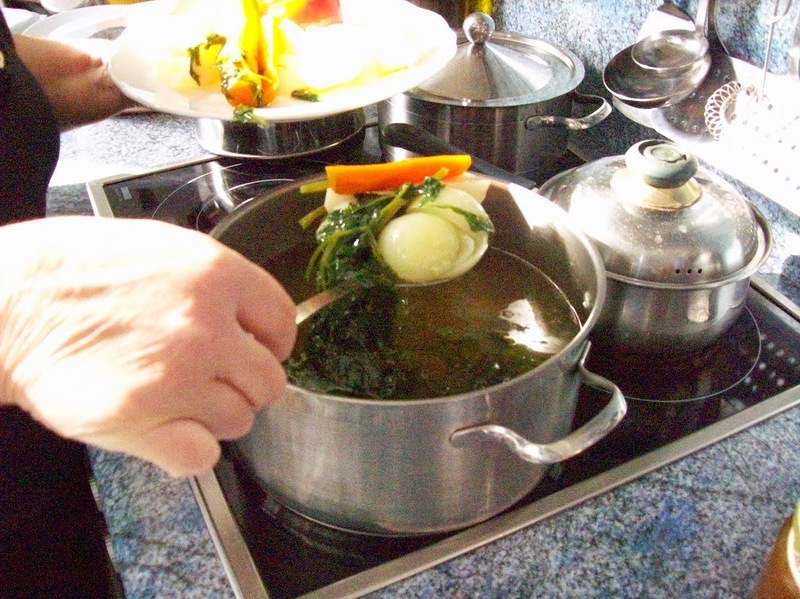 Quarter the vegetables so that they can be served on the side as an accompaniment with the fish. 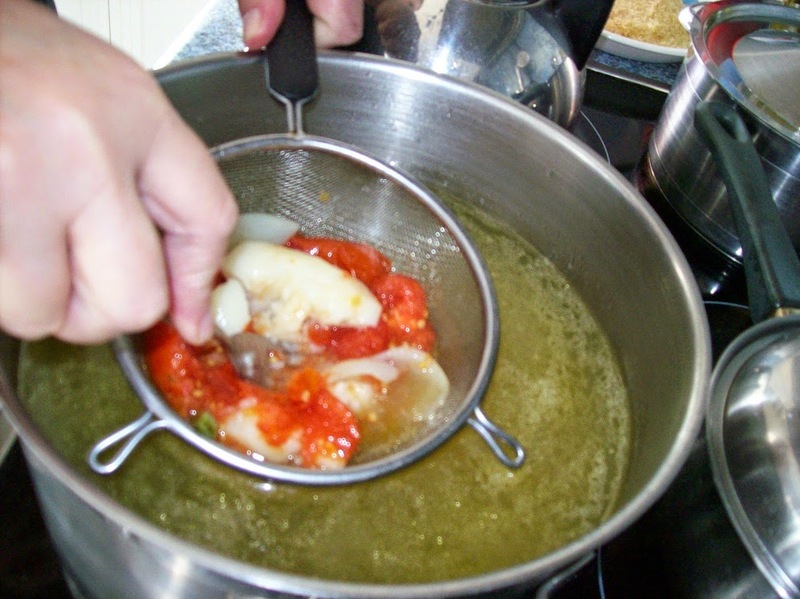 Place the carrots, celery, tomato, onions, potatoes, along with the water in a large pot over a medium high heat. 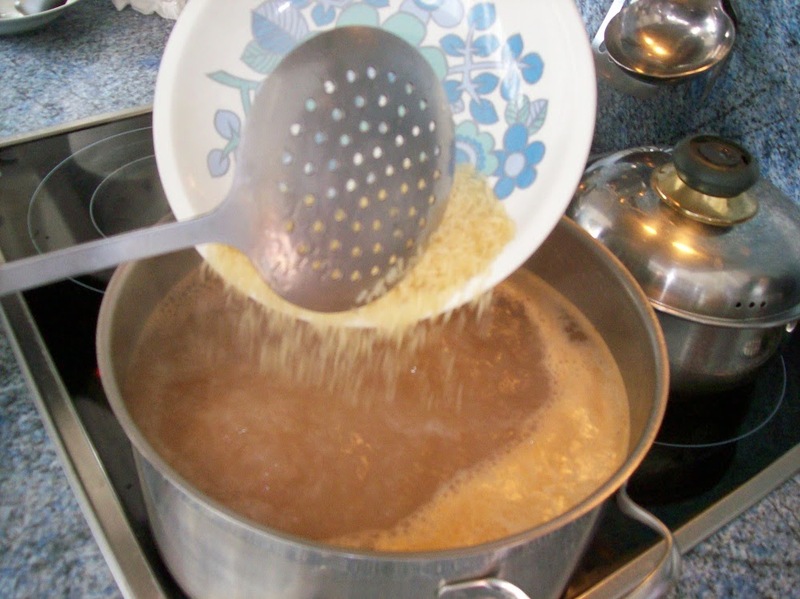 Season with salt and allow the mixture to come to boil and then simmer it on a low heat for approx. 20mins until the carrots and potatoes are just tender. Take veggies out and place them on a large dish, each kind heaped on its own. 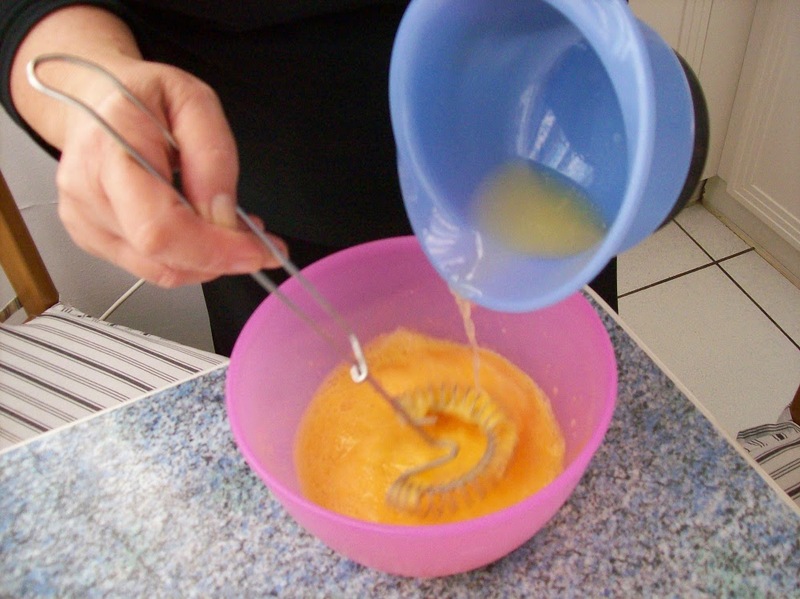 Sprinkle with the olive oil-lemon-and-salt dressing. 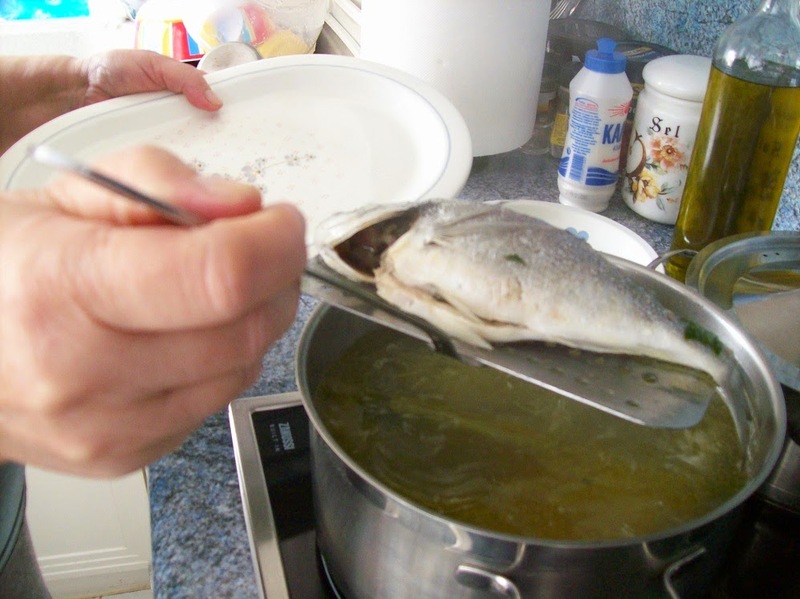 Place the fish, in the pot and let them cook till done (when the flesh is tender); it doesn't need a long time. 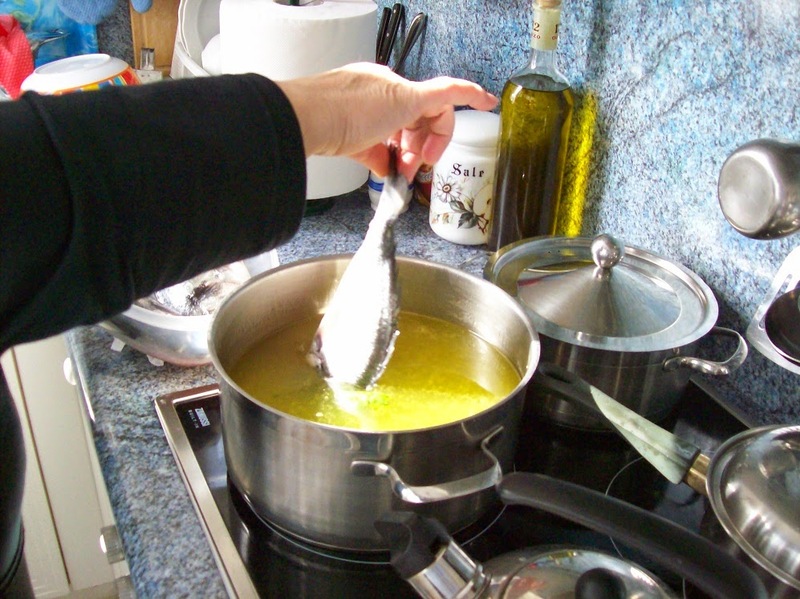 and place them on a large dish, and sprinkle with the olive oil-lemon-and-salt dressing. 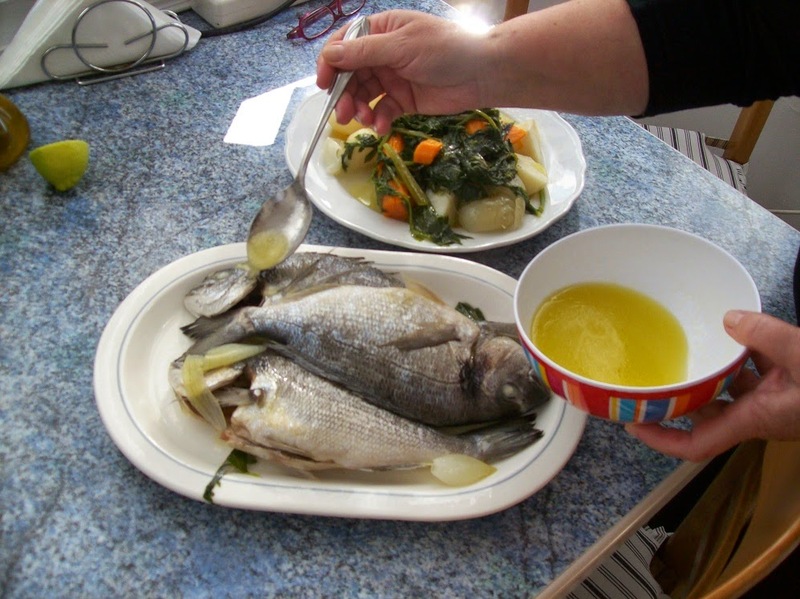 Or take the fish out of the pot when done and remove the skin, bones and innards, and place it on top of the veggies. 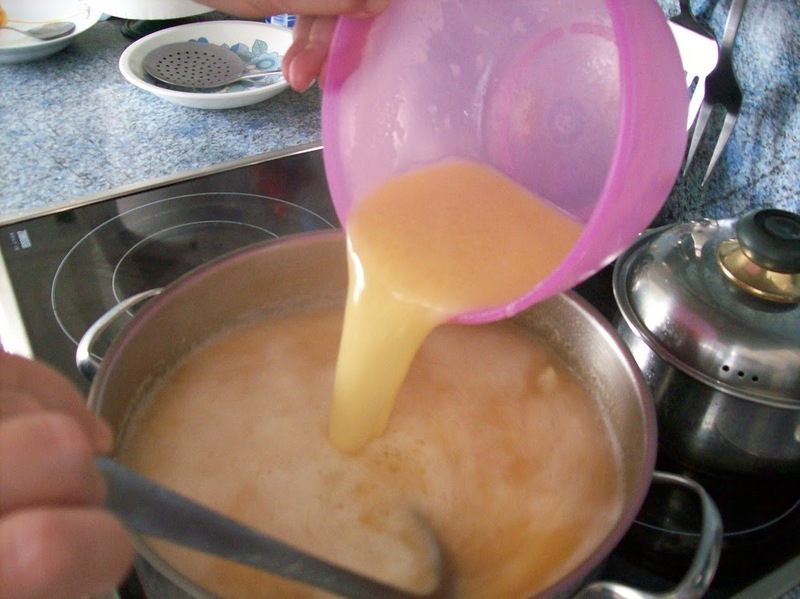 Pour the stock in a new pot. 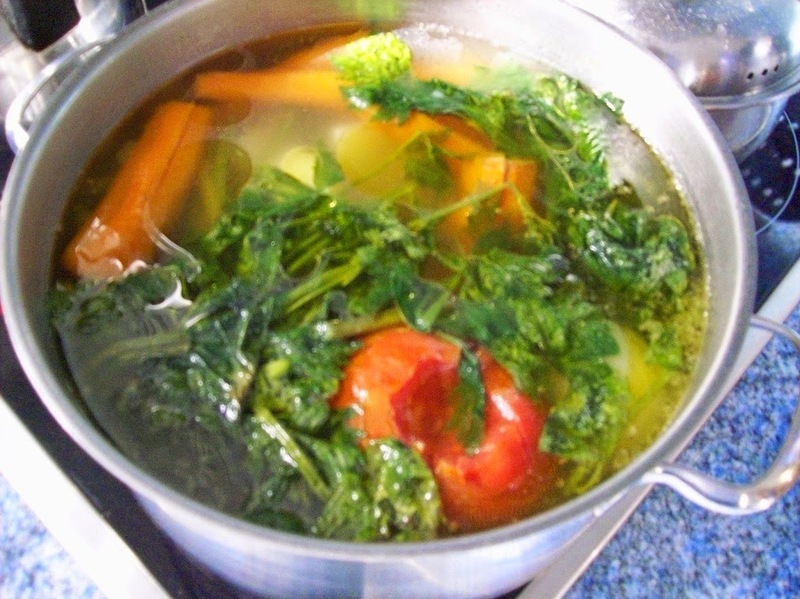 Place half the veggies back into the stock and mash roughly. 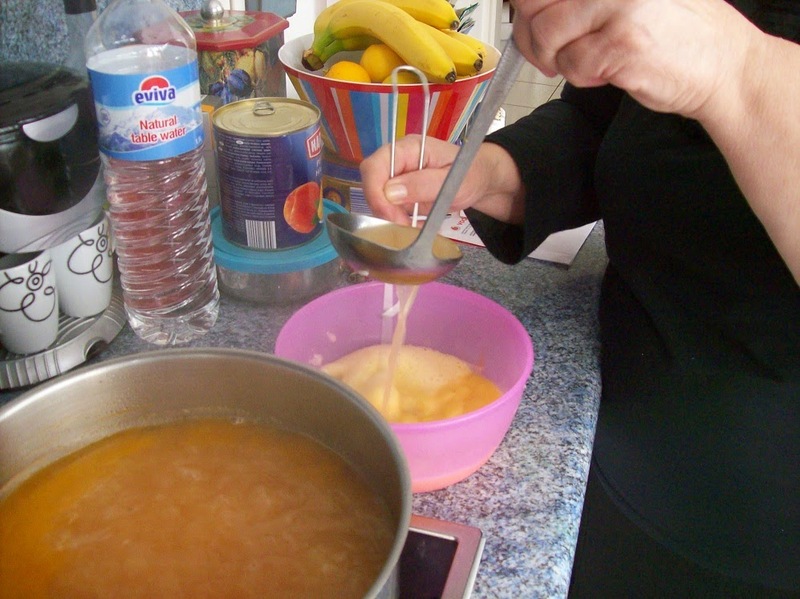 slowly add a few ladlefuls from the soup, stirring constantly. Αναρτήθηκε από George Portokalakis στις 6:25 π.μ. George Portokalakis 19 Νοεμβρίου 2014 - 10:18 π.μ.